Sunday morning’s conversation at the FCBG16 began with a question. Prue Goodwin, doyenne of the dissemination of children’s literature, asked about the title of the conference. Were we growing readers (adjective) or were we growing readers (verb)? The answer of course, is both. But more than that, because we are promoting reading for pleasure we are actually growing humans. Piers Torday (The Last Wild Trilogy) was keen to point out, in his inspirational lecture, that the benefits of reading for pleasure stretch beyond the educational, social or literary – that the key to books is humanity. 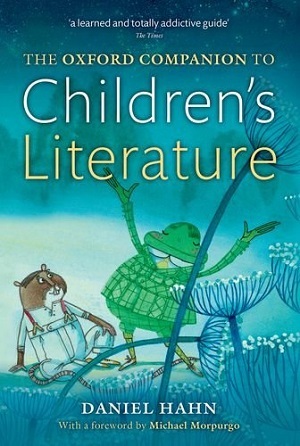 One of the reasons children’s literature retains such a resonance after childhood – the influences of Harry Potter or Aslan or Pooh stretching into adulthood – is that these books are read whilst we are growing our imagination, our cultural heritage, our background, our consciousness, our moral compass. When we were young. In Daniel Hahn’s excellent Sunday morning interview with John Boyne (The Boy in the Striped Pyjamas), both writers spoke about the moral imperatives growing from Boyne’s war books for children. The posing of moral dilemmas, and the resulting conversations and controversies. 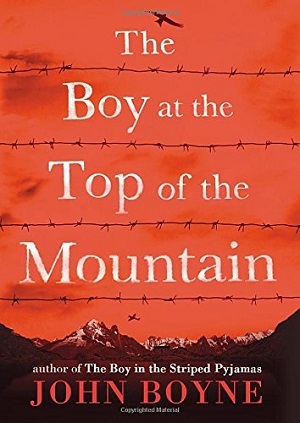 Boyne’s latest children’s book, The Boy at the Top of the Mountain, investigates the susceptibility of young children to brainwashing – it’s about a boy residing in Berghof with Hitler’s servants. It explores character – that people aren’t born good or evil, but that they can be swayed, and lends itself to a discussion of when bad actions become a personal responsibility. These are big questions for children’s books – but that’s exactly what authors need to be doing – asking children these big questions, while their brains and imaginations are still forming. What better time to develop a moral compass than in childhood? Piers Torday’s The Last Wild trilogy also poses some pertinent and tough questions. At what point do we sacrifice our comforts for the sake of the environment? If we know that it’s possible for a creature to become extinct in the next ten years (such as elephants in the real world) what action can we and should we be taking? 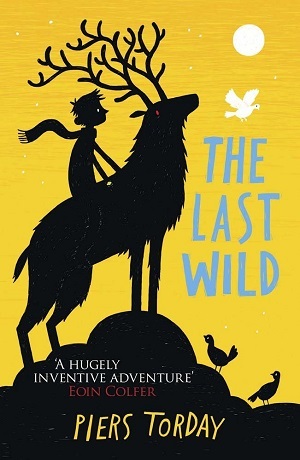 If we show children a fictional world in which all animals are extremely rare and on the brink, and the world as we know it has changed, then it can be an inspiration that shapes their lives. It can start the ball rolling in their formative years and get them thinking about real world scenarios – as well as entertaining them with a brilliant story, and evoking emotions that they will never forget. And that’s the key – authors are posing questions to children and growing them into thoughtful people. As someone once said, children who read become adults who think. Children’s literature can start to build a moral compass, and from that children learn to have moral courage. And it’s not just text that lends itself to this purpose. 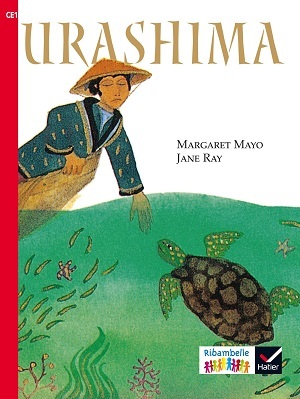 Once again the topic of illustrations arose with author SF Said and illustrator and author Jane Ray. In an ever visual society, children need to recognise the importance of decoding the visual, just as much as decoding text. Images are given just as much prominence in the adult world as text – in newspapers, websites, and obviously television where the image dominates. Any child watching the news learns to disseminate the information firstly in a visual format, and then with text. 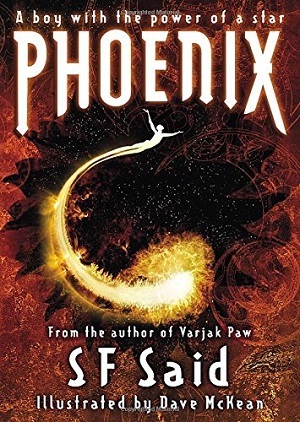 SF Said’s Phoenix is a thrilling and captivating science fiction novel, but it is also a story about humanity. It too inspires feelings and thoughts about moral courage, self-sacrifice, fighting for what’s right. But Dave McKean’s images are an integral part of the story – helping to tell the narrative, complementing the text. So it’s puzzling to many in the children’s books world that images are dismissed by many adults as being ‘babyish’. The illustrator Jane Ray made the point that unfortunately “when something is expertly and simply done it looks easy – the value is reduced” in the eyes of the adults. Of course anyone looking at Shaun Tan picture books, or even my book of the week today – The Journey by Francesca Sanna – can see that expertly produced picture books can be equally read by adults and can be as influential and challenging as full blown 300 page texts. In the end, the best children’s books are so influential because they teach empathy and humanity not by instructing but by inspiring. Authors and illustrators nourish children’s imaginations, morality, and ethics by osmosis. All wrapped up in a beautiful story.